Ever wanted to know what it’s like to be, or at least help, Captain America? It seems like it would be the experience of a lifetime. Well, a few lucky people got to “assist” Captain America on an important mission recently, the only thing is, they didn’t know what they were getting themselves into. 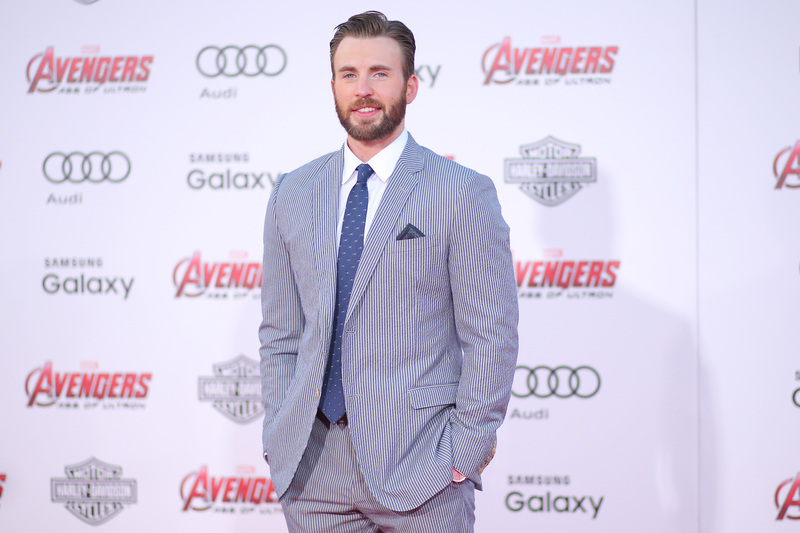 Captain America himself, Chris Evans is currently participating in an Omaze charity event, where people can sign up to win that experience of a lifetime — they get to do the Escape Room WITH him (yes, sign us up to be trapped in a room with Christ Evans, PLEASE). To get people excited about his Omaze fundraiser, Evans did a surprise escape room challenge, where unsuspecting people stepped into a fake comic book store and were asked by a large Captain America figure (voiced by Evans) if they were up for a challenge. It sounds just as scary and cool as you can imagine, and these unassuming participants are hilarious. The three groups filmed went on a wild adventure to solve the mystery, which involved sticking their hands through a snake hole, running around the street looking for a H.Y.D.R.A. agent, and overall had the crap scared of them by Evans after he lures them into a creepy basement (that’s not weird or anything). It looks absolutely terrifying, but also totally amazing. Evans obviously enjoyed scaring fans and even tweeted about the event. The quick 6 minute video seems like just a taste of the fun you’d have with Evans upon winning the Omaze prize. The best part is, all proceeds from the Omaze Escape campaign benefiting Christopher’s Haven, an amazing organization that provides low-cost housing for the families of kids receiving care at Boston hospitals. Evans is truly a hometown hero, always doing what he can to help people in need both home in Boston and all around New England. We’ll gladly donate for a chance to hang out with a cool (and gorgeous) guy like him.